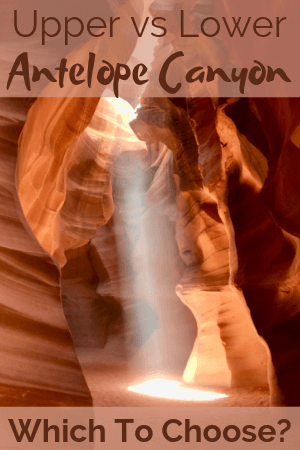 Upper Vs Lower Antelope Canyon - Choosing Which To Visit? 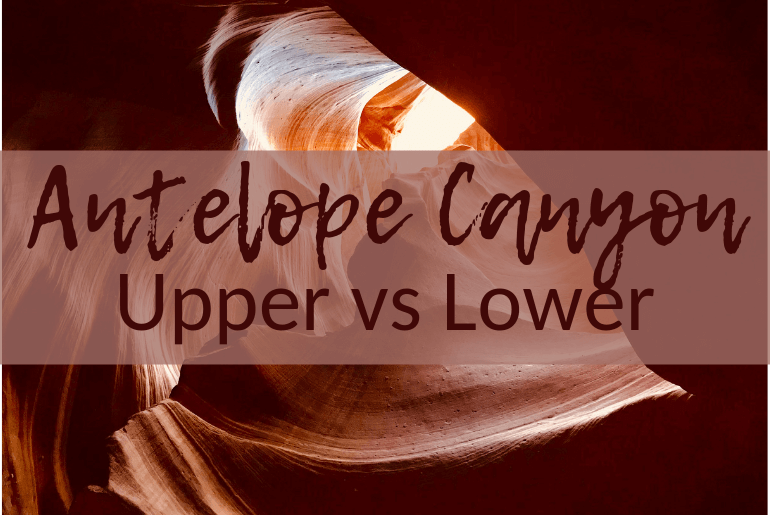 When we decided we were going to visit Antelope Canyon, we didn’t realize until we started researching, there are actually two; Upper vs Lower Antelope Canyon! We were shocked to find this out and then realized we had a big decision to make: which canyon should we visit? Antelope Canyon Lower or Upper? Which Is The Best Antelope Canyon Tour? Which Is Better Upper Or Lower Antelope Canyon? Upper Antelope Canyon is easier to walk through but also is much darker than Lower Antelope Canyon due to the Upper Canyon being shaped like the letter “A.” Lower Antelope Canyon vs Upper Antelope Canyon is a bit harder to walk through as the canyon walls are narrow and there are also staircases involved in getting around! There are 4 different tour operators to choose from when deciding to visit Upper Antelope Canyon. Prices were accurate at the time of publishing this article but could change- make sure you check first! The price might not reflect the experience. I would recommend to read the reviews from each operator on Trip Advisor and compare which you think you will enjoy the most! You can book online for all four operators. 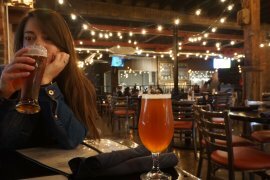 They all say you must arrive 60 minutes prior to your reservation or it will be canceled without a refund. I’m not sure why they need 60 minutes to check everyone in and I’m not sure if they will actually cancel your reservation or not- we arrived 60 minutes early just to be safe. Photography tours require you bring a tripod along on your excursion. “Primetime” refers to when you will be able to see the iconic beams of light the canyon creates during certain times of the day. This is completely dependant on what you are looking for! 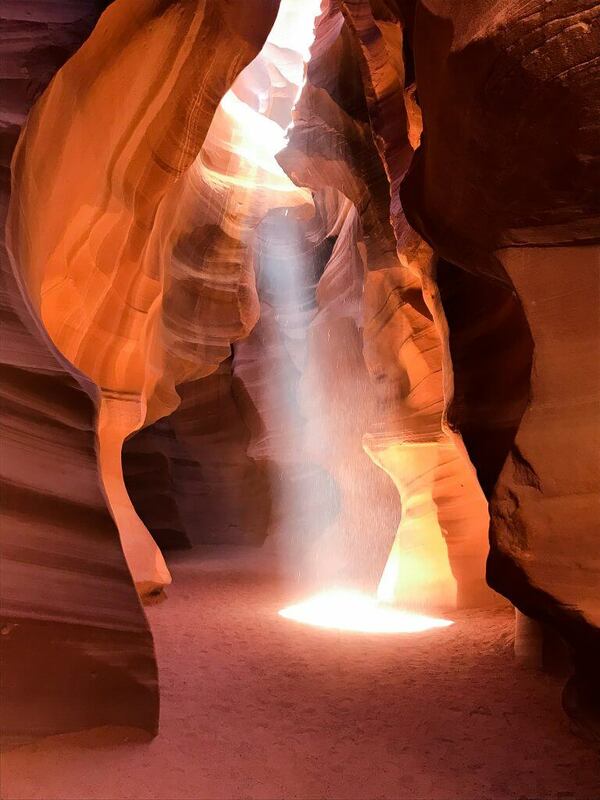 If you feel like you can’t see Antelope Canyon without having that iconic picture of the light beams shining down- then I say yes, it is worth it. Note that this will be the busiest time and you are shuffled through the canyon like cattle. As you can see there are not any photography tours of Lower Antelope Canyon. Since the iconic light beams and falling sand are in Upper Antelope Canyon, most people opt for that canyon to experience a photography tour. Choosing the best Antelope Canyon tour entirely depends on what you are looking for. 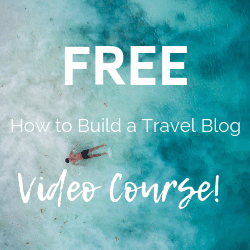 Honestly, each tour operator offers a similar experience. Although, some operators might offer more knowledge on the canyon and the Navajo history with the canyon. From what I have read and experienced, it really depends on your guide! Some guides from the same company might be great, and others might be just so-so. Read reviews on TripAdvisor to make your final decision on which tour company to choose. There are no stairs you have to take to get into Upper Antelope Canyon. It is a flat, easy ½ mile walk roundtrip. Do beware though that the ride in the 4x4s or Jeeps to Upper Antelope Canyon can be a bit bumpy. Although, my mom with a bad back was able to handle it. Upper Antelope Canyon is your only chance for a photography tour. If you are looking to spend more time in the canyon photographing the light beams, you can only do so at upper. One of the main differences between upper and lower antelope canyon is the price. As you can see the price is almost double for upper vs lower antelope canyon tours. Our guide at upper did offer to take pictures of us though which was very nice! When choosing antelope canyon tours upper or lower, just know that you will probably have to book upper further in advance than lower. Upper is more well known and if you want to book during “primetime” I would recommend doing so months in advance. We booked about a month in advance and were lucky to get the primetime slot we got! Lower Antelope Canyon vs Upper Antelope Canyon in terms of crowdedness sadly isn't as different as one would hope. There was a time when Lower Antelope Canyon was less crowded than Upper but now they are about the same. Although, since Lower Antelope Canyon is longer, it may seem to be less crowded than Upper. In terms of price, Antelope Canyon Lower vs Upper boasts quite a big difference. At the time of writing, Lower Antelope Canyon was significantly cheaper than Upper. 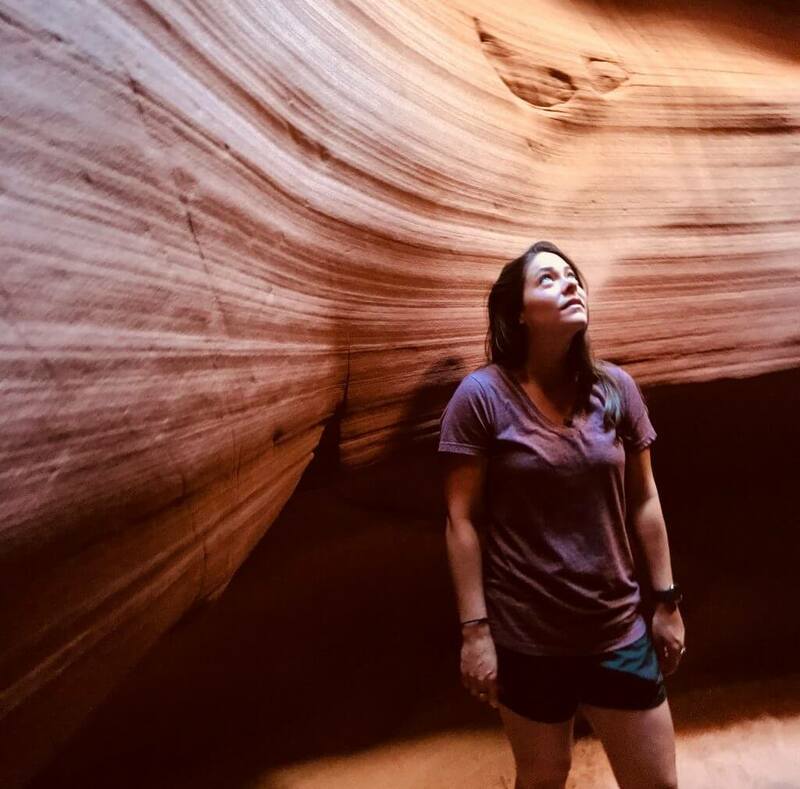 If you are on a budget but still want to see a beautiful slot canyon, Lower Antelope Canyon might be the better choice for you. Lower and Upper Antelope Canyon are quite different in terms of adventure. To some people, this might be a drawback and to others, this might be a good thing. You do have to walk down and then back up stairs to enter into Lower Antelope Canyon and it is a ¼ mile from the parking lot to the entrance of the canyon. If you have mobility limitations or are elderly and cannot climb stairs- I would shy away from Lower Antelope Canyon. The walk is also a bit narrower and can lead some to feel claustrophobic. It is unlikely to see any light beams on a tour of lower antelope canyon. The light does come through the top as the walls are more open than Upper Antelope Canyon but it doesn’t create any light beams. When choosing Upper vs Lower Antelope Canyon there are a few different factors you have to consider. Antelope Canyon Upper OR Lower are both amazing and if you are ever in Arizona, I would highly recommend visiting at least one of them. Although beware (with both experiences) it can be crowded and thus not a unique and peaceful time. If you are a photographer I would highly recommend visiting Upper Antelope Canyon and taking the photography tour. You will have more time to photograph the gorgeous light beams and your guides will cater to this experience. If you have kids (not too young, especially if stairs will be difficult for them) and are looking for more of an adventurous experience and do not care about the iconic light beam photos- I would recommend visiting Lower Antelope Canyon. Also if you are looking for a cheaper tour, Lower Antelope Canyon is definitely your best bet! If you have the time and money and want to visit both canyons (while also experiencing the primetime light) the best time to visit Upper Antelope Canyon is 10:30 am and the best time to visit Lower Antelope Canyon is at 1:30 pm. If you don’t care about the best time for lighting in either canyon, booking one of the last tours at Lower Antelope Canyon will give you fewer crowds. Note: If you would like to visit Lower or Upper Antelope Canyon in the high season (May-October) you probably need to book your tickets months in advance. At the time of writing in January, slots for primetime in May are already filling up! Antelope Canyon in the Winter is actually some peoples best-kept secret these days. There are significantly fewer crowds at Antelope Canyon in the Winter and the prices are lowered during the offseason (Mid-October to mid-March.) I would recommend still waiting until November- February to visit if you are looking for fewer crowds. Also, make sure to visit during the week as weekends at Upper Antelope Canyon during the winter can still be pretty crowded. Looking For Other Adventures Out West? Check Out Some Of Our Other Posts!